As Catholic parents, we all hope our children will grow in faith and follow the path God has chosen for them. My greatest prayer for my children is they will go wherever God calls them and serve Him well. Each of us has a vocation – a calling from God. However, the number of those entering religious vocations and marriage is on the decline. These are five, easy projects your family can do this April to encourage and explore possible vocations for your children. When a student is trying to decide on a college and major, parents take him to universities. Looking for a new place to live, you visit open houses. Why not visit the places where vocations are lived out? To visit one of these holy dwellings is an experience like none other. There are probably convents and abbeys closer to you than you think. Even with the decline in new vocations, there are vibrant religious communities across the country. Many are thriving with new postulates. Don’t know where to start? 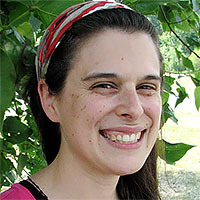 Visit www.pathsoflove.com for a list of religious communities throughout America. You may be surprised at what you find! I had no idea that a Discalced Carmelite community existed less than two hours away from my home. Please remember to see if there are certain parameters for visiting and, if possible, contact the monastery or convent ahead of time. My children and I recently had the delight of visiting a convent with our homeschool group. Just being in the presence of the sisters was delightful. We had the opportunity to visit their chapel, pray at the relics of one of their sisters who is up for sainthood, and eat our lunch with the sisters. The children enjoyed meeting these sweet women and learning more about not only their lives but also their blessed predecessor. We all had such an amazing time that we have organized two more field trips to convents, including a contemplative community. I am also hoping to find a monastery or two of brothers we can visit. We all know that discernment is the key to finding your true vocation. However, how does discernment work? How does one begin? What leads a woman to discern to become a sister or nun? How did she choose which order to join? An interview is a perfect opportunity to ask all the questions you have about how to discover a vocation. Why not start with your parish priest? Formulate, as a family, five to ten questions about the discernment process. Then, ask Father to schedule time to talk with your family. Better yet, invite him over for tea or dinner. Our children are always so excited when one of our priests comes to visit. Don’t know a sister to interview? Remember that list of American religious communities? Find one nearby or see if you could send a letter of questions to a contemplative community. While face to face is ideal, personal responses to the questions are the true heart of this activity. I have a mini business, well maybe more of a hobby, crafting vocation peg dolls. I am always on the lookout for new orders to explore and recreate as a mini doll. In doing my little reconnaissance missions, I have discovered there are far more communities out there than I ever imagined. I was delighted when I found the Holy Spirit Adoration Sisters. They wear pink habits! Pink habits! Not only is pink my favorite color, but Eucharistic Adoration is my favorite devotion. How did I find these beautiful sisters who I so dearly hope to visit one day? I had some pink felt I yearned to use for dolls and decided to Google © “Catholic Nuns Pink Habit.” Lo and behold, pink habits exist! Where will your search lead you? Read up on each order’s rule of life and apostolates. Why not order a treat from one of the communities to get a taste, quite literally, of the work of their hands? Religious vocations aren’t the only ones to which Catholics are called. We each have a special vocation for which we are designed. Many Catholics are called to marriage, as solemn and binding of a vow as Holy Orders, yet often overlooked as ordained by God. Some of your children may be called to a cloistered life, others to marriage. Interview those who have chosen and lived their vocation of marriage well, to understand the discernment process involved. Dating is so much more than having fun; it is a discernment process. Help your children understand how and why it is. Ask the couple you invite how they met, why they married, and how they have kept their marriage going. In a world where marriage is not valued as it should be, celebrating this special vocation will be a gift for your family and the blessed couple you interview. In the end, you must pray to know what God wishes for you. It is nearly impossible to know the answer to a question you didn’t ask and/or do not take the time to listen for the reply. Take time to pray in the quiet. Offer a special prayer to St. Anthony of Padua who is so very generous in helping to find that which is lost or hidden. I promise to keep track of my keys this month, so he will have more time to hunt out vocations for your family! Good St. Anthony, pray for us! 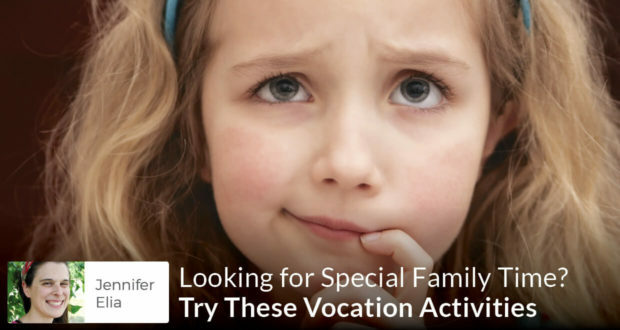 How have you explored vocations with your family?